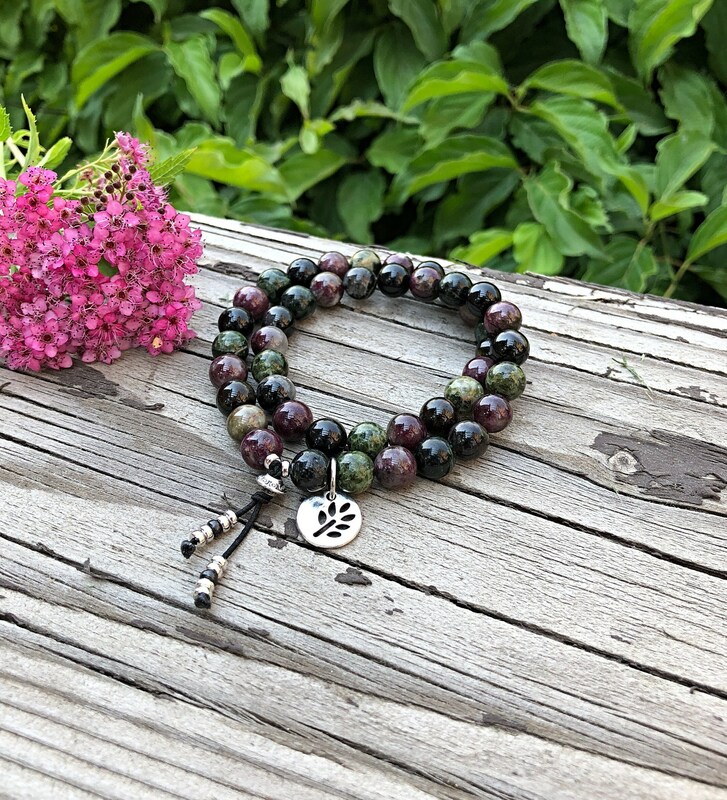 The Energy Clearing Double Mala Bracelet features luxury earth toned multi color Tourmaline gemstones along with a silver tone leaf charm to cleanse blockages, purify your energy and provide soothing love, peace and comfort. 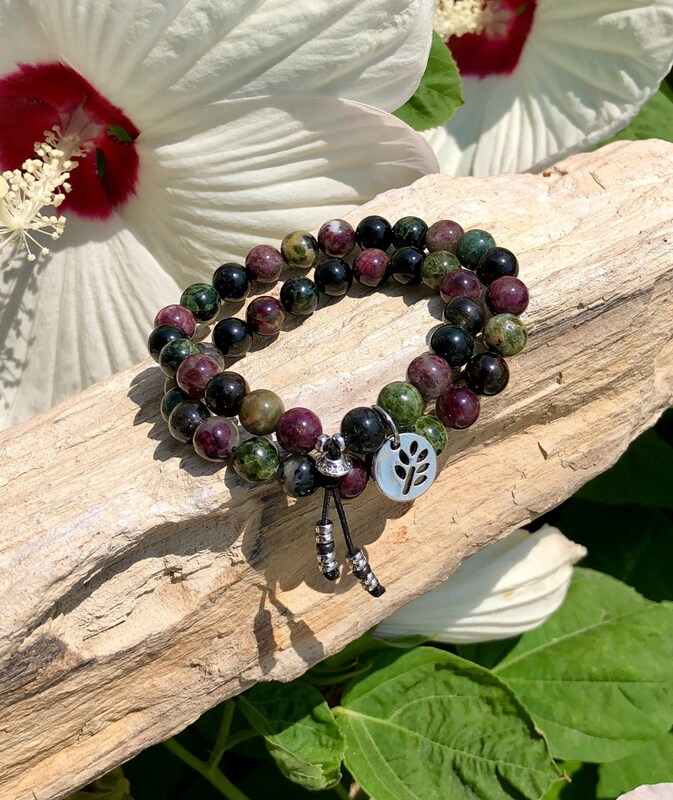 *Since each Tourmaline bead is unique, with different colors and characteristics, every Energy Clearing Bracelet will have a slightly different overall appearance. All gems are carefully hand selected to create the perfect finished product. 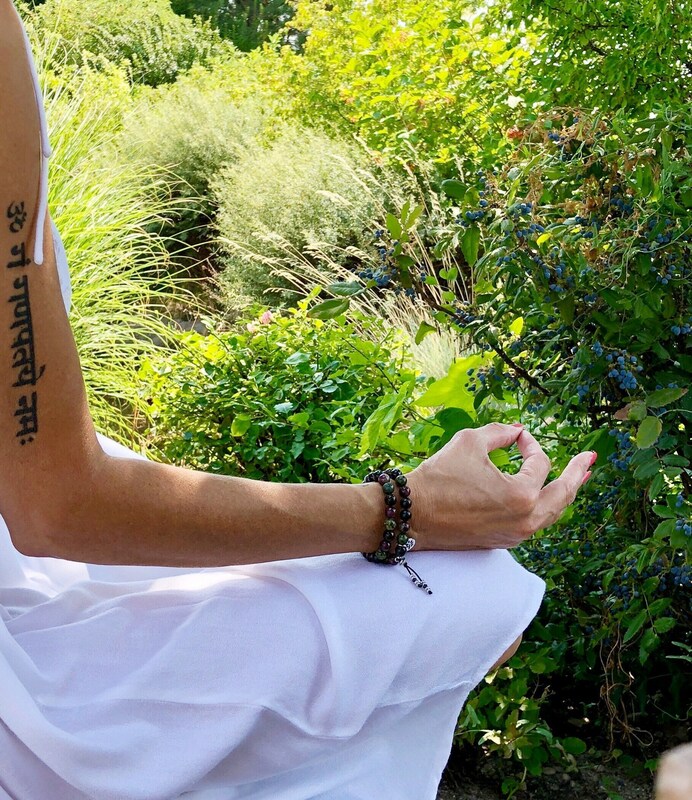 No two Energy Clearing Bracelets are alike. Tourmaline is known as the "gem of the rainbow" because it comes in so many beautiful colors. It is widely known as a detox gemstone as it cleanses and purifies heavy, dense energy into lighter vibrational energy. Tourmaline clears and balances all the chakras and forms a protective shield around the body. It is also known to enhance energy flow, remove blockages and balance sexual energy. Tourmaline awakens self love and attract romantic love. Every color offers a unique healing vibration. Green tourmaline is balancing, pink attracts love, watermelon instills patience, blue brings clarity, brown clears the aura, purple stimulates intuition, yellow enhances personal power and black protects against negativity. When worn together they bring the mind, body, spirit and soul into wholeness and provide a gateway into the inner self and higher spiritual realms. I have purchased Brenda’s mala bracelets and necklace for the past years. I can not say enough how much I love her work and the quality of her products. I feel great energy as soon as I open the box every time. Brenda is always so helpful and patient to help me find the best mala for me. She is such a nice and good person with beautiful soul. I am very pleased and grateful.